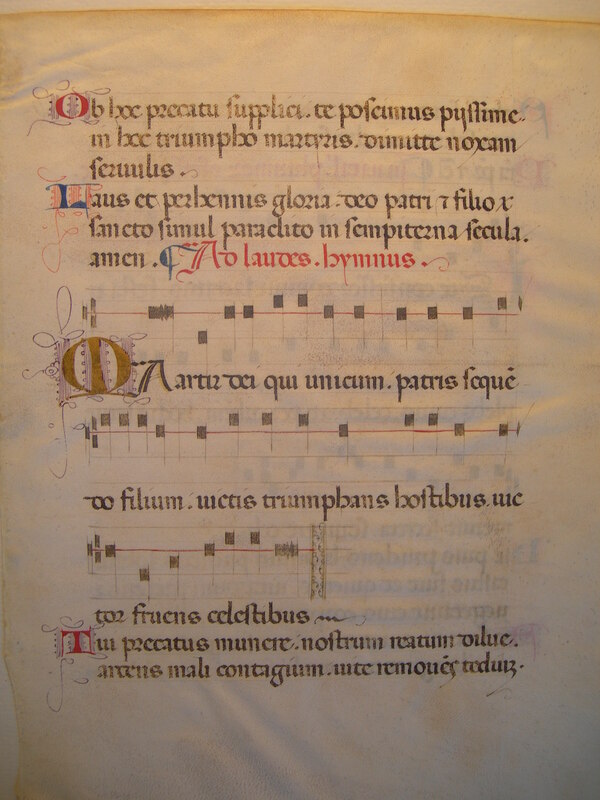 This leaf is from an Italian gradual made in the middle of the fifteenth century, and measures 26.5 x 20 cm. A very attractive feature of the decoration is the fine penwork in the flourishes around the Lombardic initials, including a delicate purple which always accompanies large illuminated letters. The C-line of the musical staff is highlighted in yellow and the F-line in red. Some leaves from this manuscript retain visible follicle evidence of a piebald skin source. 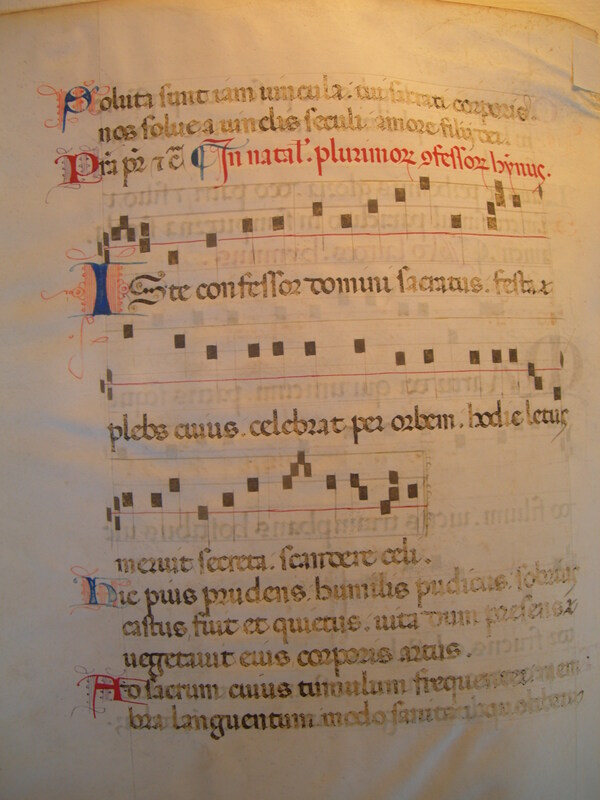 See Denison University Leaf 32 for more information about this manuscript.